Why is Google willing to spend over $6 billion for Groupon? The local advertising market is massive — yellow pages ads still bring in more revenue than Google’s annual revenue. Local has been an extremely difficult market for online ad solutions to capture. Consider how a yoga studio in Cleveland can advertise. With Google AdWords, the yoga studio can target people searching for the keyword “yoga”, but this is an expensive, nationally bid-up keyword, and not a word the people search every day. Adsense provides a bit more context, and the ad could be placed in websites that talk about yoga, but there aren’t that many people looking at pages like that to click on the ad. Google Maps lets the yoga studio ad coupons to its location, but it has not had much uptake. The incredibly large local ad market has remained primarily elusive to Google, to the point where it considered purchasing Yelp for a large sum even though it did not have that much local ad revenue. By contrast, Facebook has had tremendous success in the local advertising market. Facebook was the first platform to provide cheap and effective geographic, interest, and age targeting. So the yoga studio in Cleveland can now target college-educated women aged 25-35 who live in Cleveland and have listed yoga as an interest. In a few short years, these local, highly targeted ads have grown Facebook’s ad revenue to over a billion dollars a year from zero. What is amazing about Facebook’s local advertising success is that these local ads are being purchased self-service by businesses, a beautifully scalable model in a business dominated by direct sales organizations. Facebook is soon expected to allow its ads to be displayed on third-party sites like AdSense currently does. These highly-targeted local ads can be placed everywhere you go on the web. What makes Groupon special is not its much talked about tipping point where a deal does not happen unless a certain number of people sign up. Due to Groupon’s broad traction, virtually every single one of its deals gets sufficient signup to convert. Groupon was the first company to use the tried-and-proven sales technique of the yellow pages and Valpak to target local advertisers — direct, door-to-door salespeople who sign up local services and retailers. Groupon has quickly built a direct salesforce that has signed up local businesses across the country. While detractors of the Groupon model point out that the net of a Groupon campaign often results in a loss to the local business, they are not considering that all advertising at the outset is typically a loss to a local business. 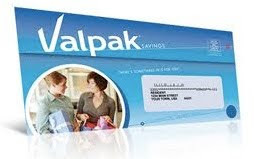 A local TV ad, local newspaper ad, or Valpak coupon also costs money that could be considered a loss and typically does not produce immediate positive cash-flow relative to the ad investment. The value of a Groupon promotion produces cash over time with new repeat customers and should be viewed as a customer acquisition cost, which typically must be amortized over time. In addition, Groupon is also launching a service with 10% discounts that is much more in line with typical couponing systems. Will Groupon Salvage Google’s Local Ad Hopes? As a way for Google to quickly enter the nascent online local ads market, Groupon is definitely a better acquisition target than Yelp. Coupons are simple and understandable to local businesses, do not have the baggage of negative reviews like Yelp, and have a very high conversion rate. There are no other advertising companies that can match the rumored multibillion-dollar acquisition price, so Groupon is there for Google’s taking. The challenge for Google as it attempts to maintain its revenue growth is that the Groupon model is not a direct self-serve ad business like Facebook’s or that of Google AdSense. Google’s next step will be to attempt to transition its businesses to doing self-serve ads. The reality here is that Google has to spend $5 billion, whereas Facebook could achieve Groupon scale within a few months by adding a self-service deal a day per geographic region to the right rail of its homepage or directly within a user’s homepage feed with about 2 weeks of coding. Interesting post! Groupon will either grow like crazy or drop down a few slots when the big dogs start to play. Groupon’s current $25 billion pricetag is flawed for a number of reasons according to Groupon Priced at $25 Billion! !